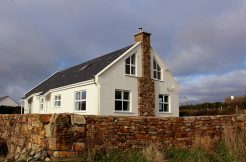 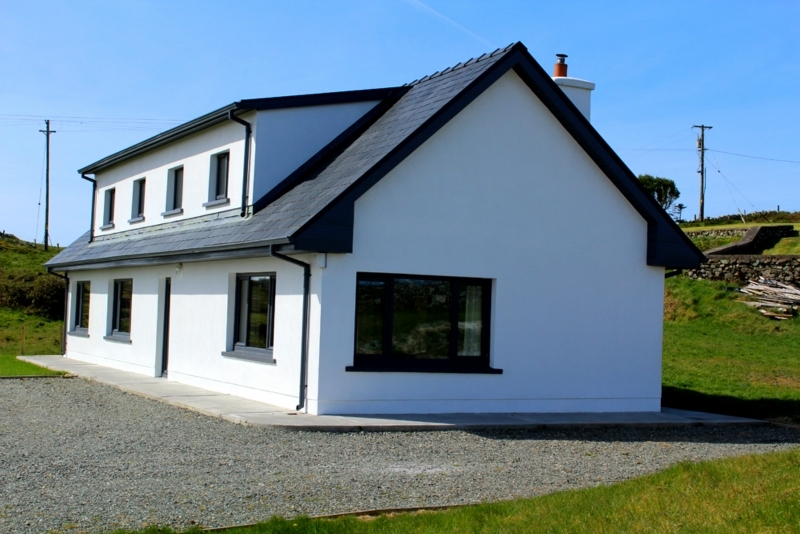 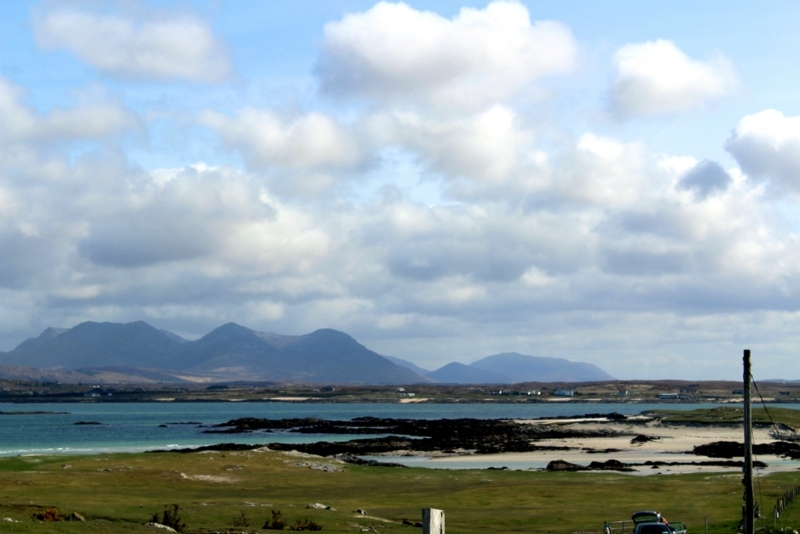 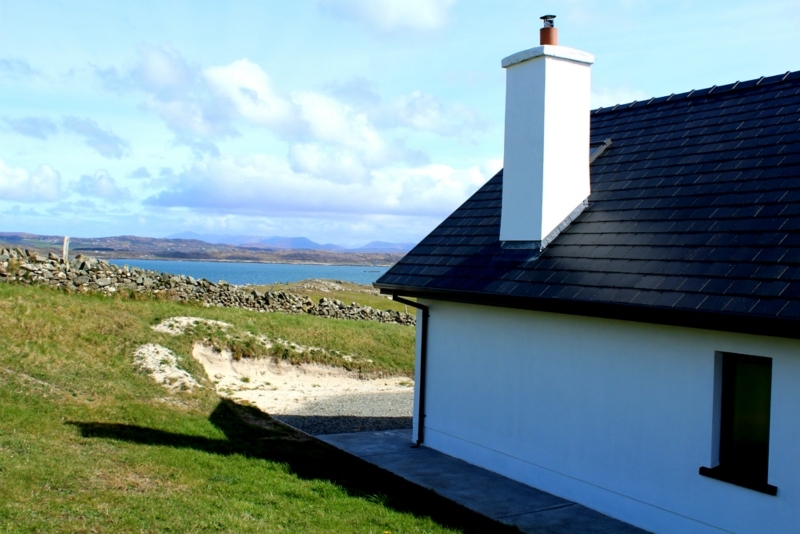 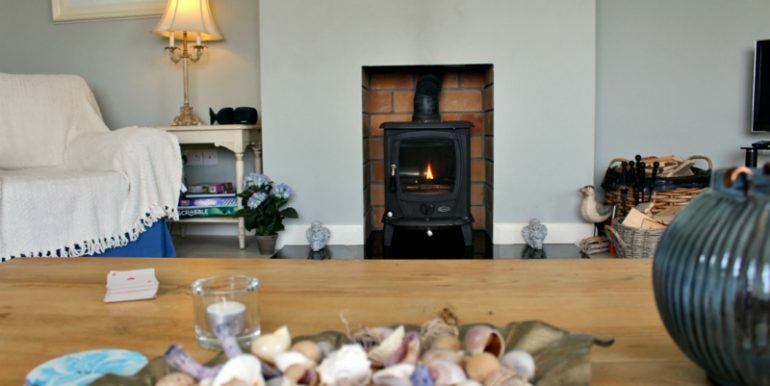 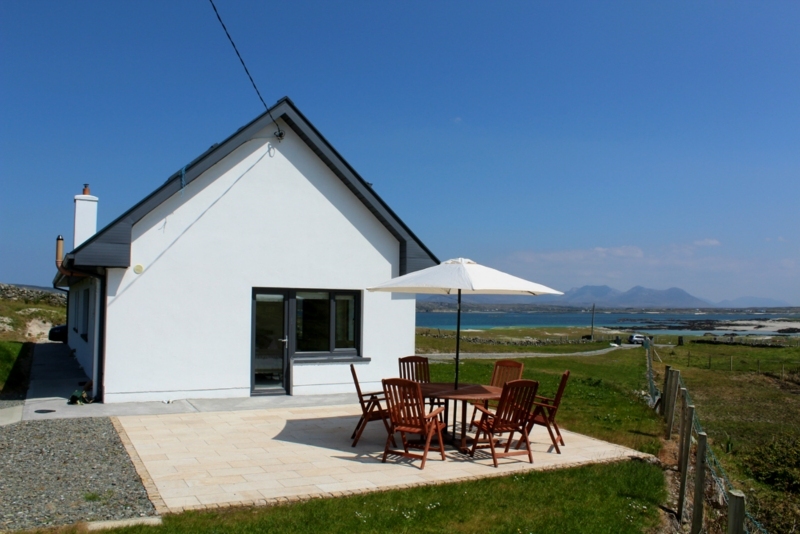 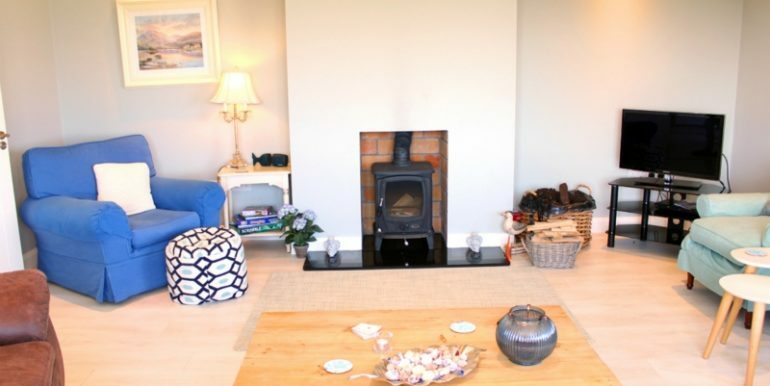 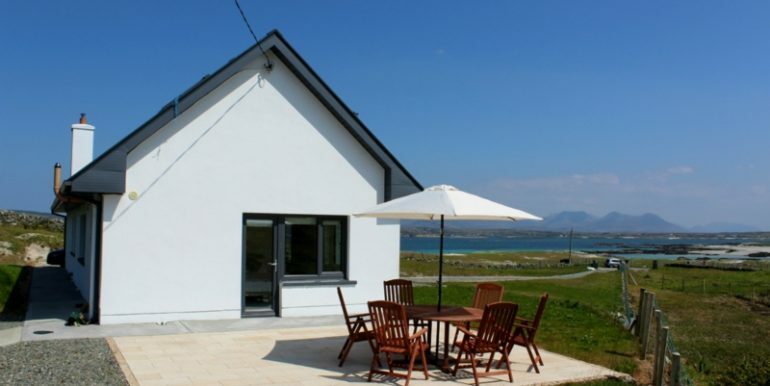 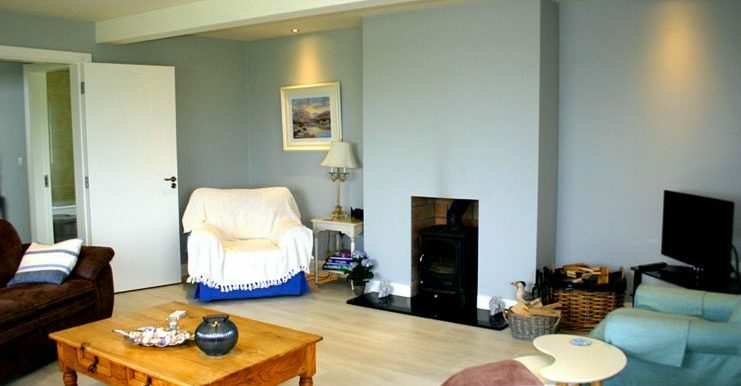 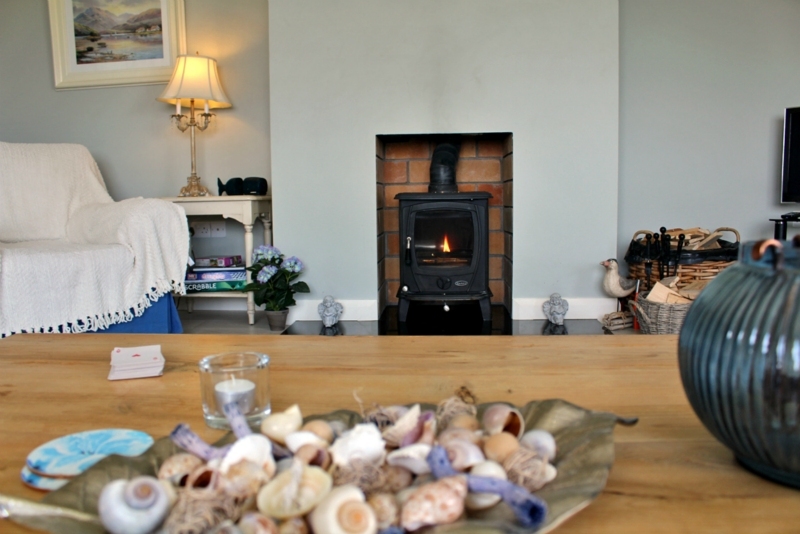 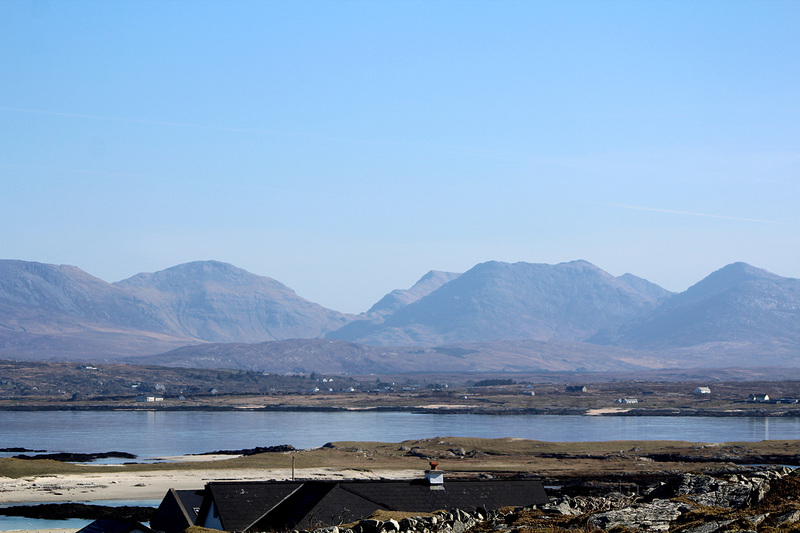 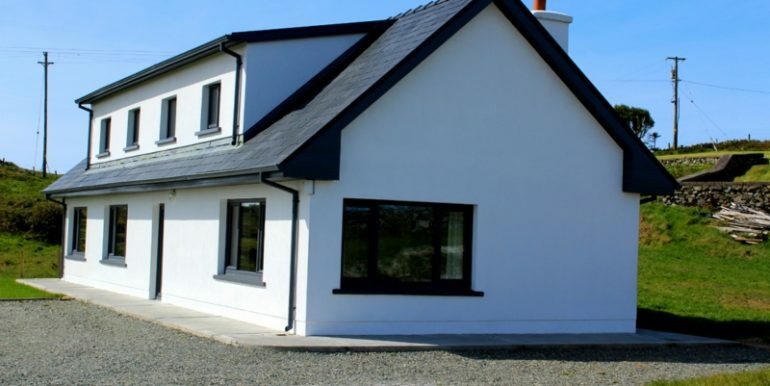 The Cottage: This is a stunning cottage with far reaching views over Mannin Bay. 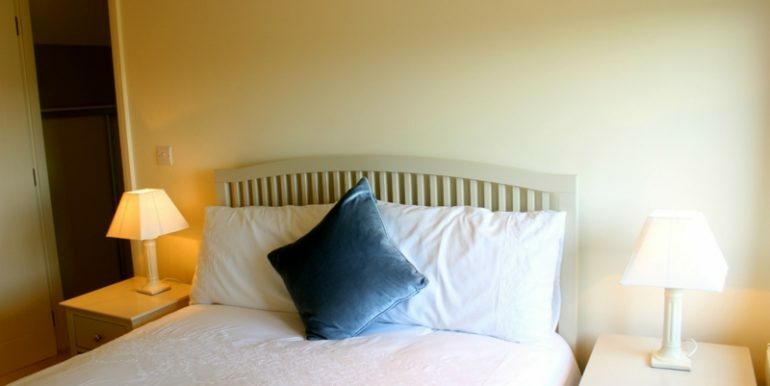 It offers everything a vacation maker could ever need. 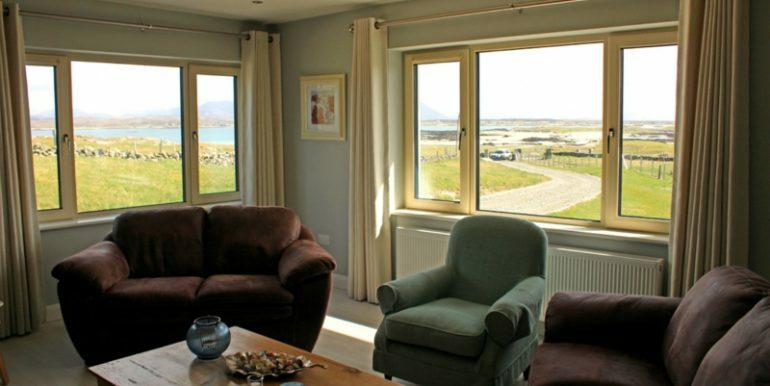 The location is spectacular with views from almost every window. 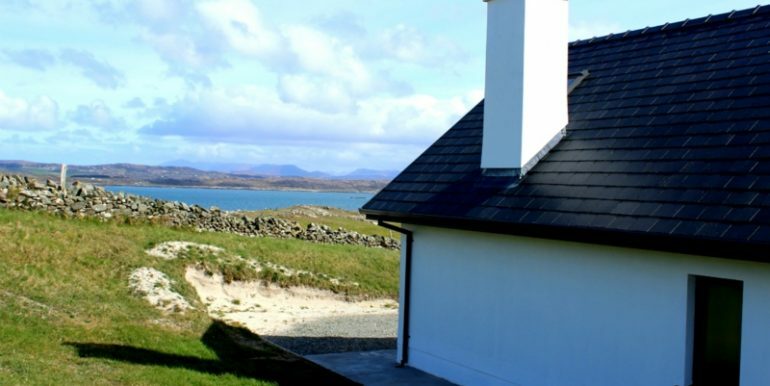 You may even catch a glimpse of the seals basking on the rocks. 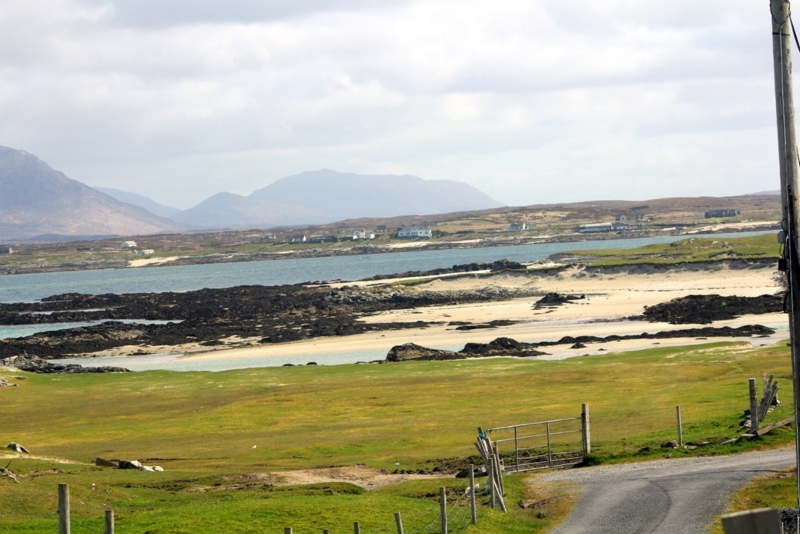 Mannin Beach is a few miles long, perfect for fitness training or power walking or even a gentle stroll! 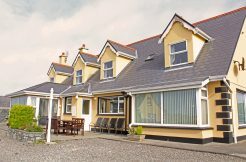 Comfort is second to none and the location to the Connemara Sands Hotel is almost next door so perfect for a light lunch or evening meal and sun down cocktails. 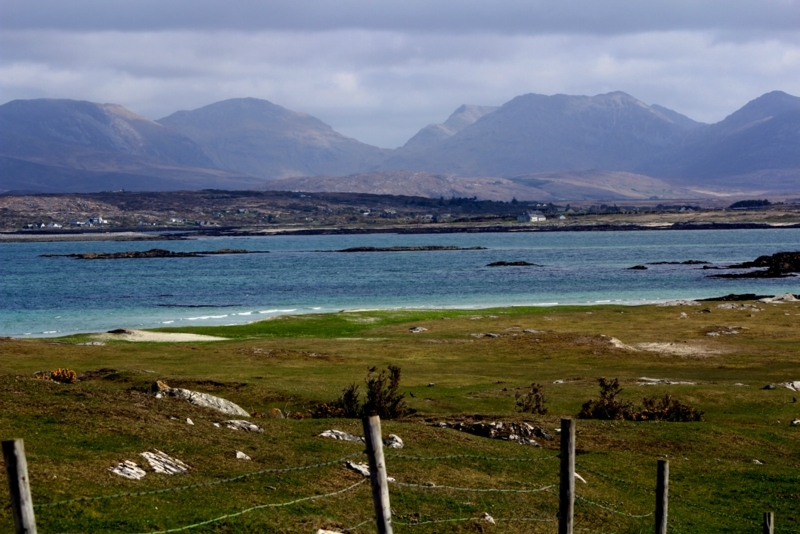 Clifden town is 5km. 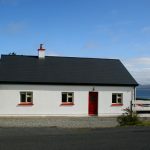 Keoghs Pub, Shop and Church are walking distance. 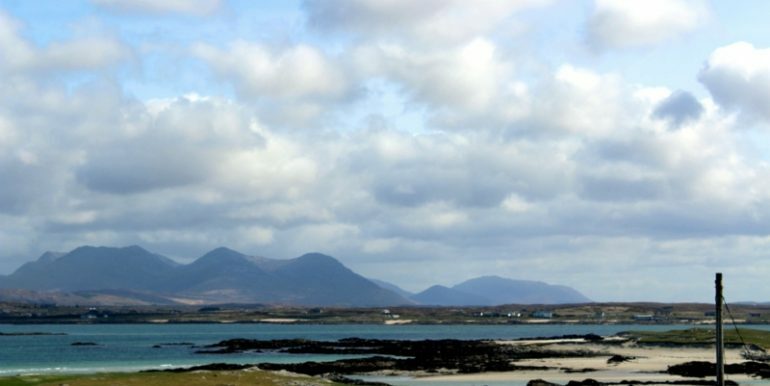 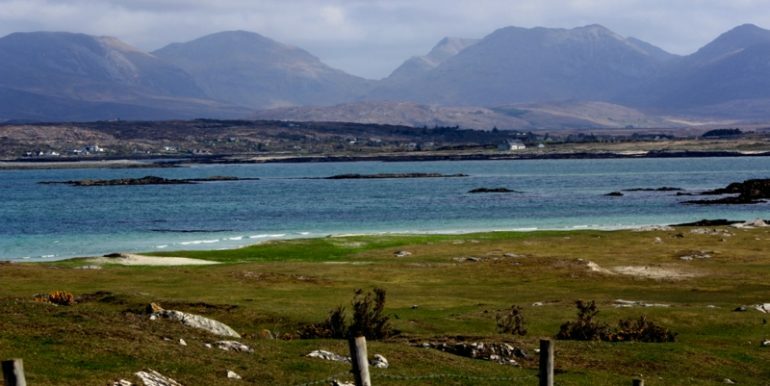 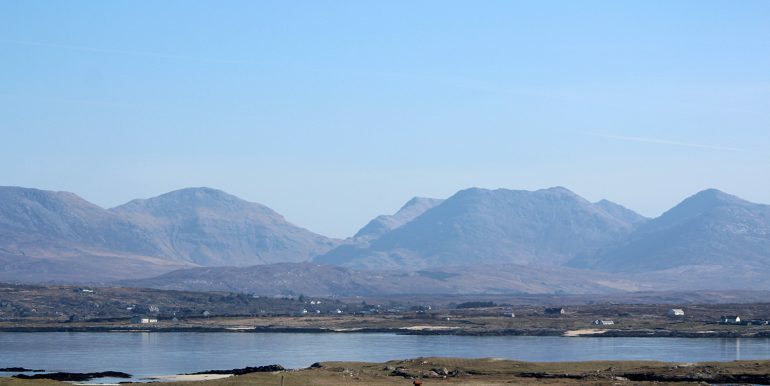 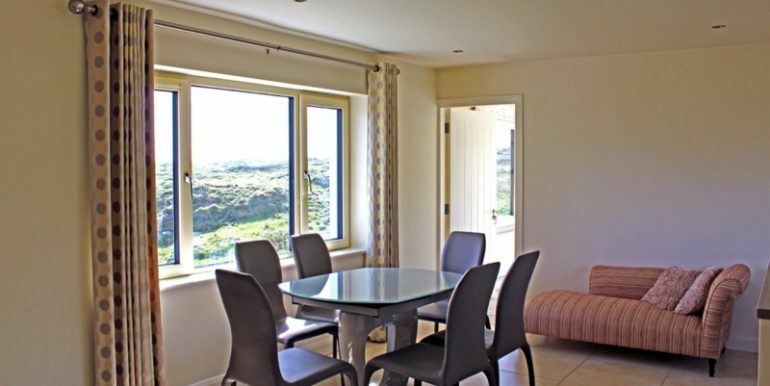 Connemara Golf Course is approx 2 miles Roundstone village, Gurteen, Dogs Bay Beaches 6km. 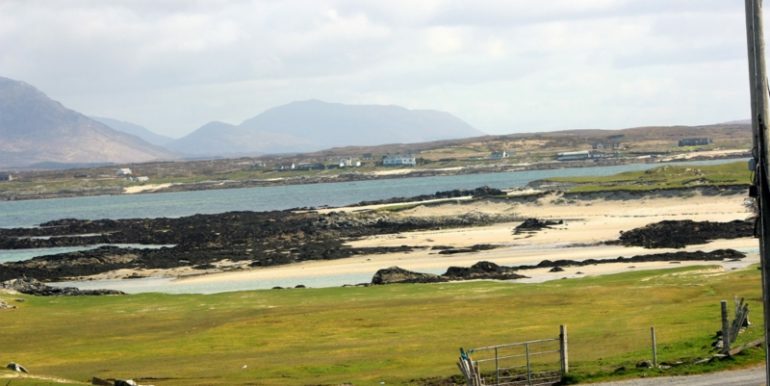 Alcock and Brown Landing site and nature walk 3km. 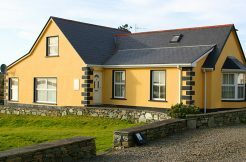 Inside: Fine entrance gates and long gravel driveway up to the property. 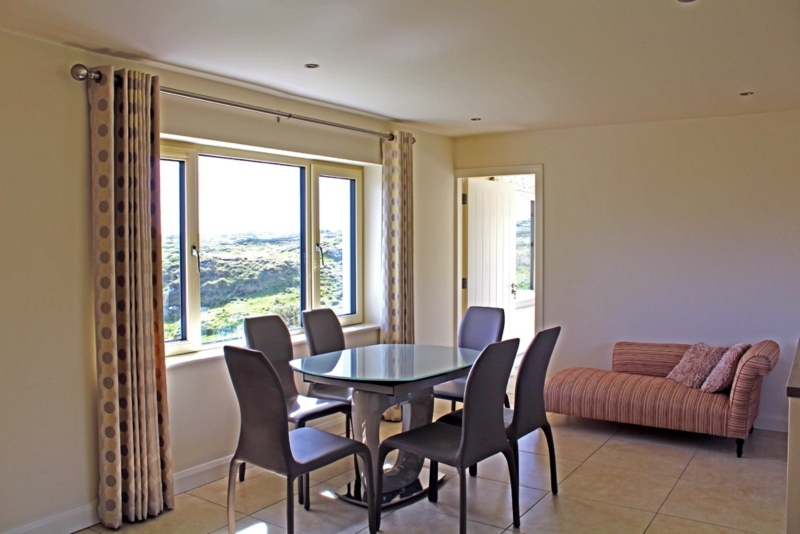 There is a patio area to the side of the property with a swing chair. 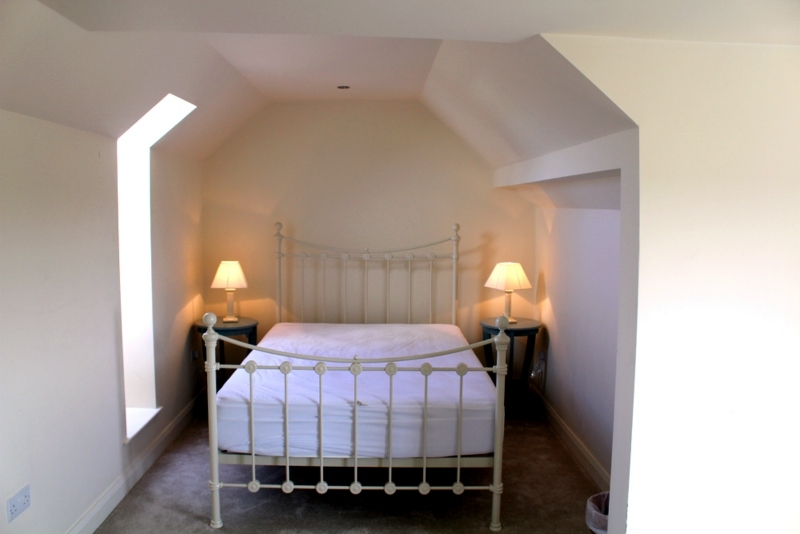 As you walk in the front door there is an interesting stair case to your right. 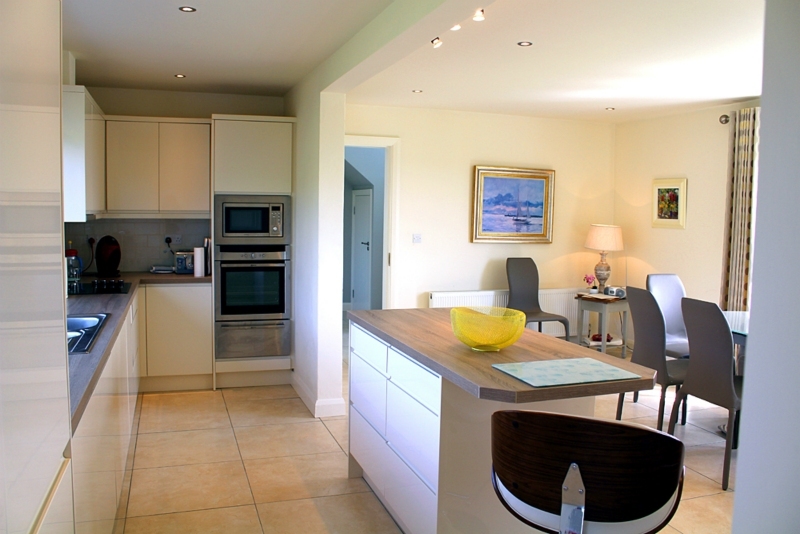 In to the left is a big open plan dining/ Kitchen area. 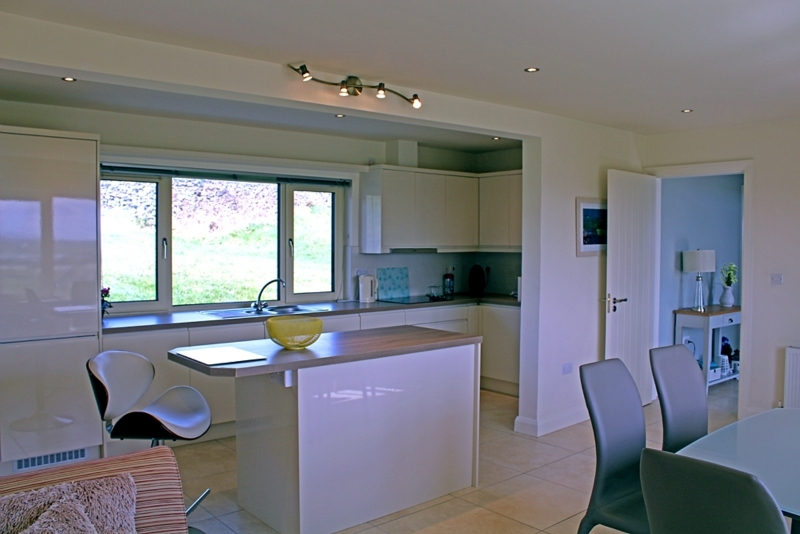 Kitchen is fully equipped with all mod cons and is very stylish. 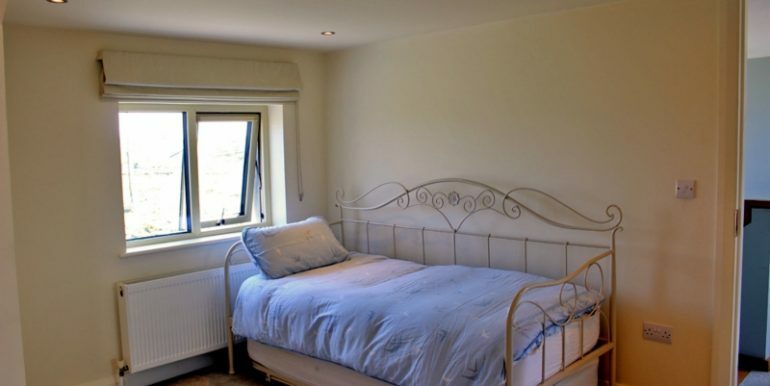 Off the kitchen there is a double ensuite bedroom with big windows and a door leading out to the patio area. 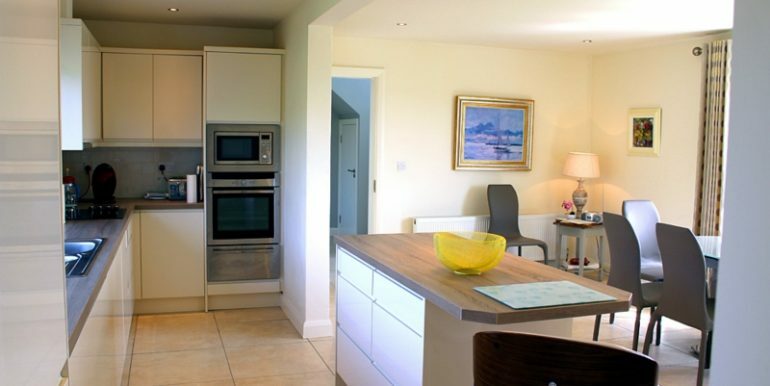 Of the kitchen is also a back door. 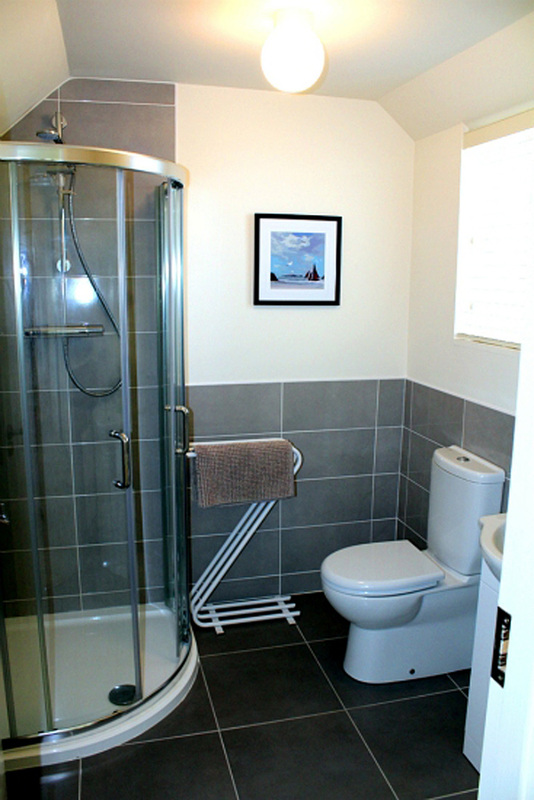 Back in to hallway area there is a main bathroom with shower over bath and further on is a big living room space. 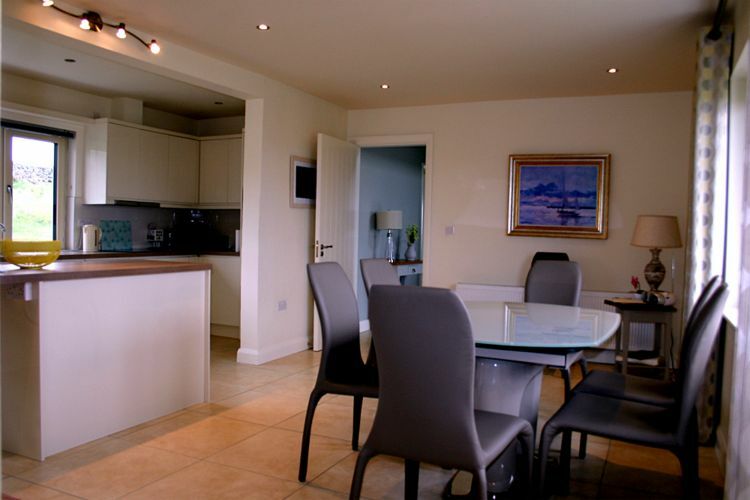 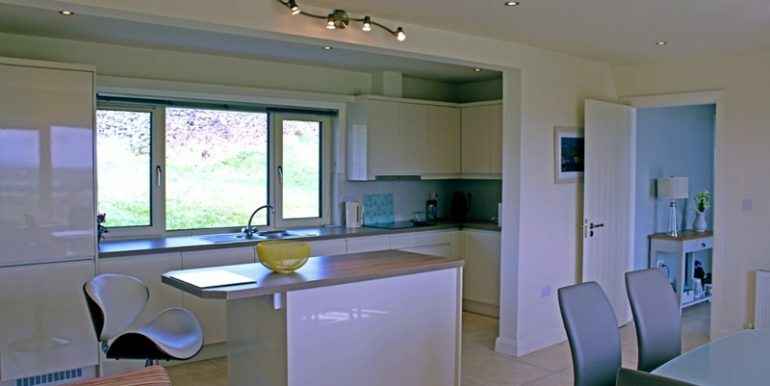 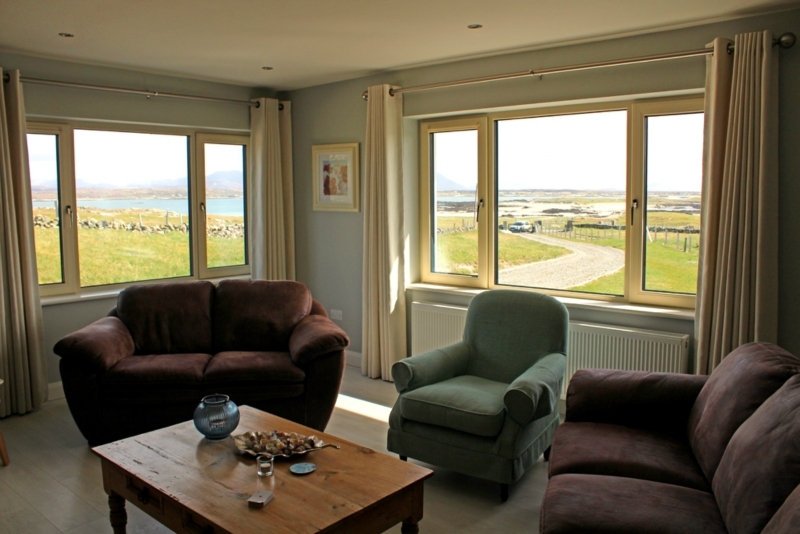 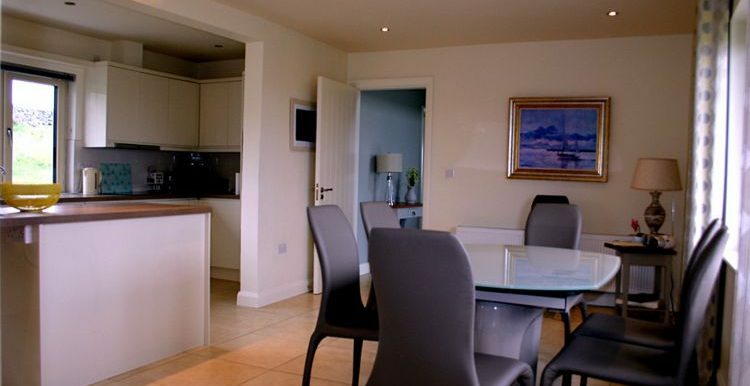 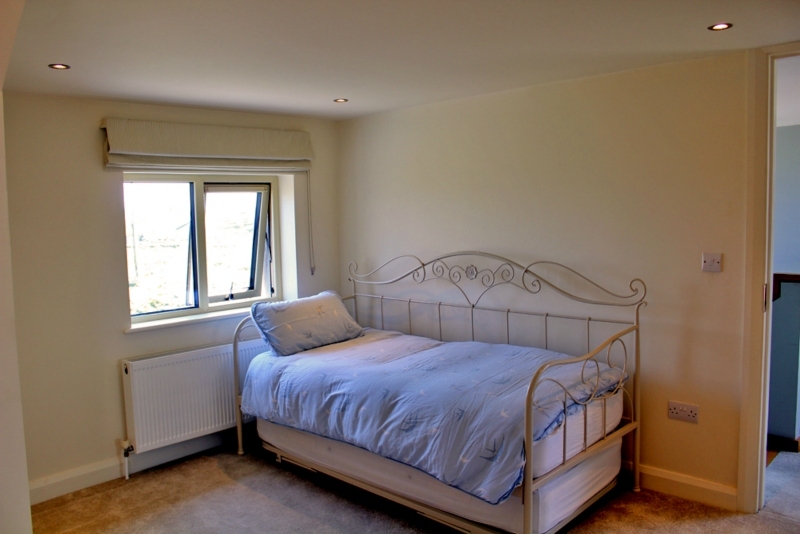 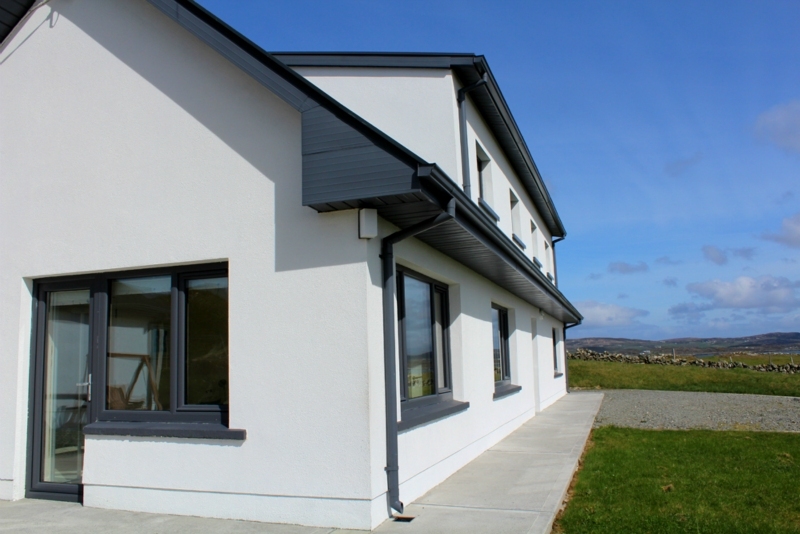 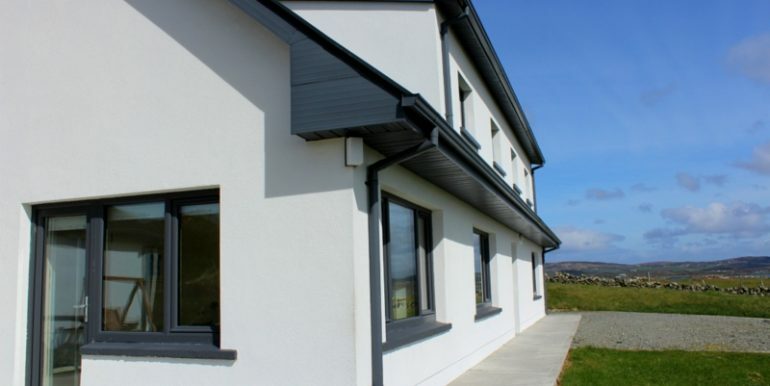 There are big windows with stunning sea views over Mannin Bay. 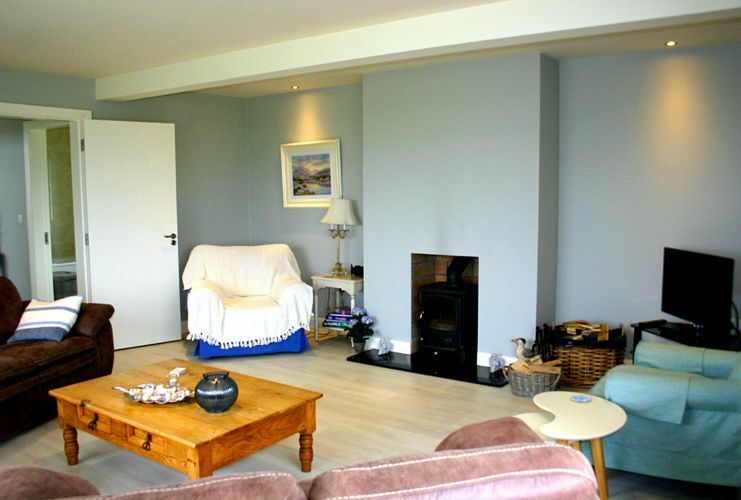 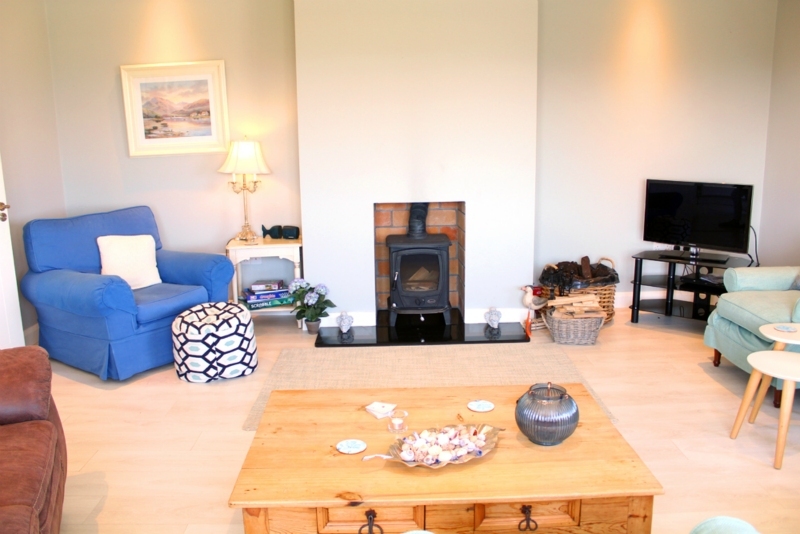 The sitting room has big cosy couches, wood burning stove and a flat screen T.V.Upstairs there is a double and single bedroom with sea views. 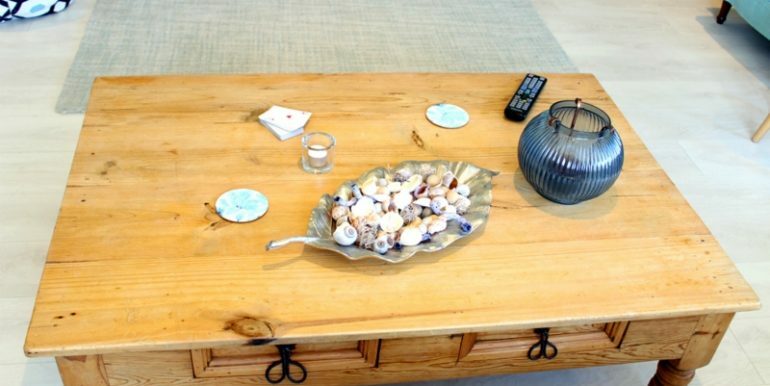 Landing area with a couch. 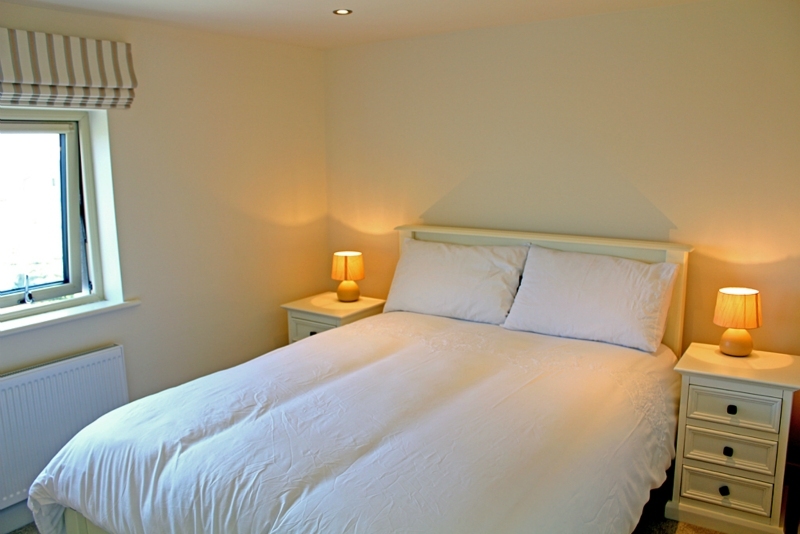 Further on is a Double and a double ensuite bedroom. 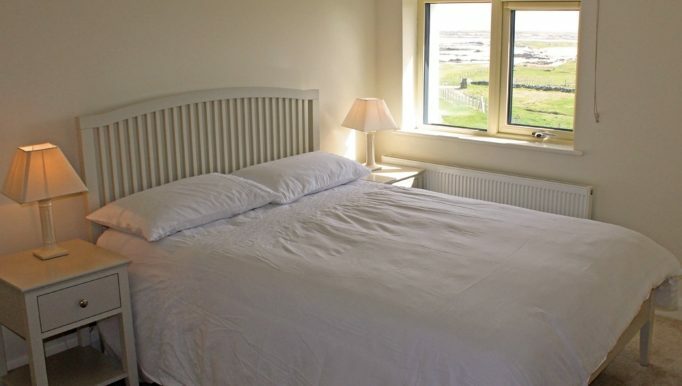 Both double bedrooms have sea views. 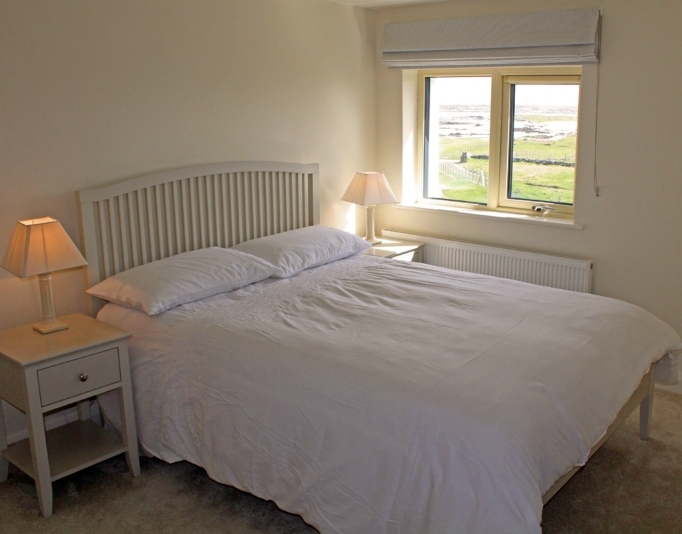 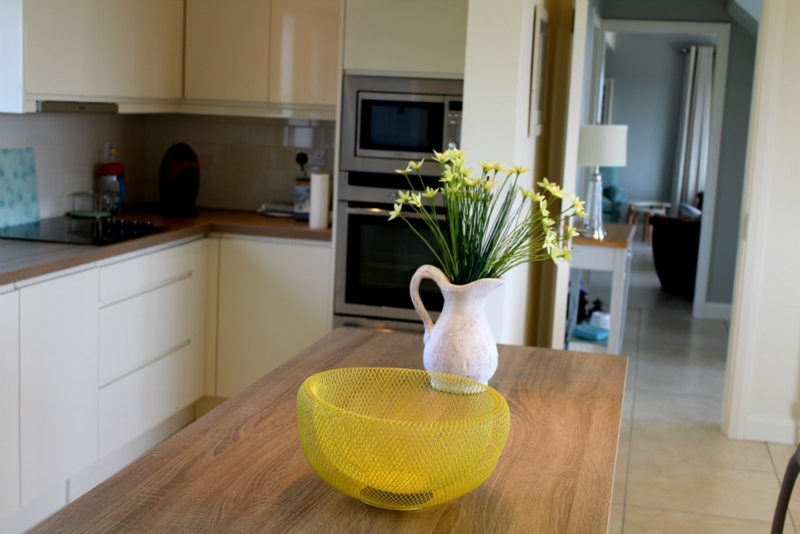 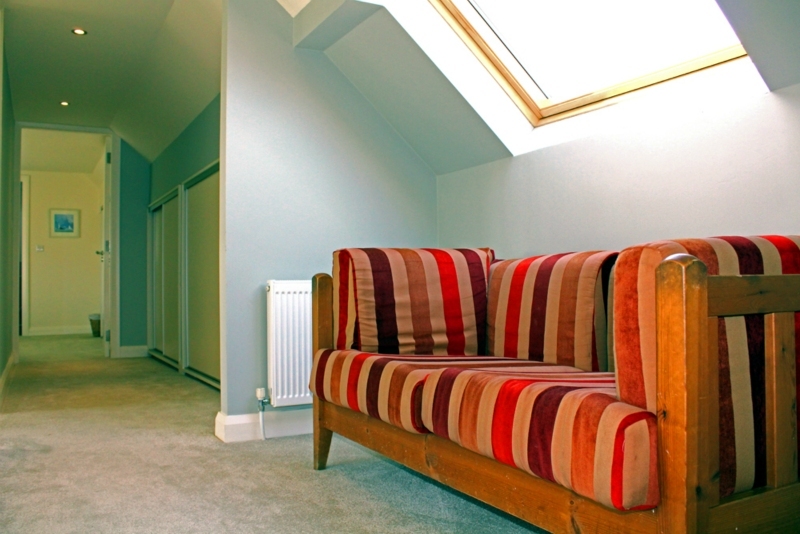 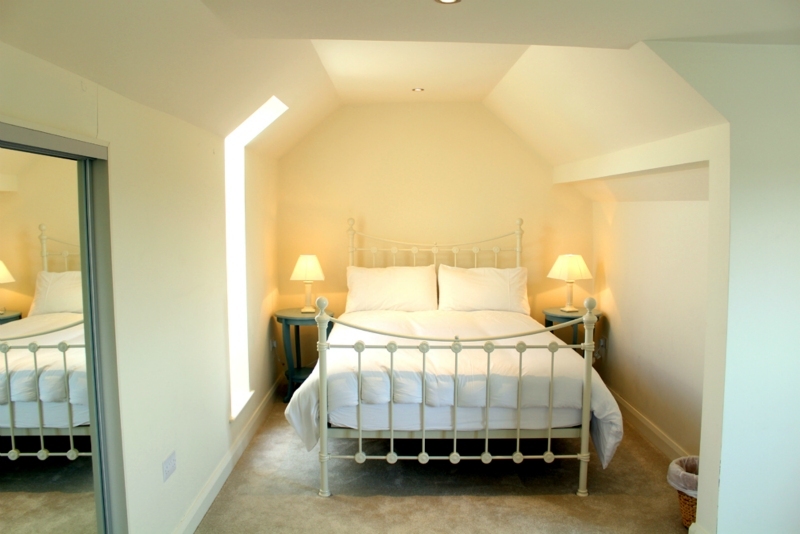 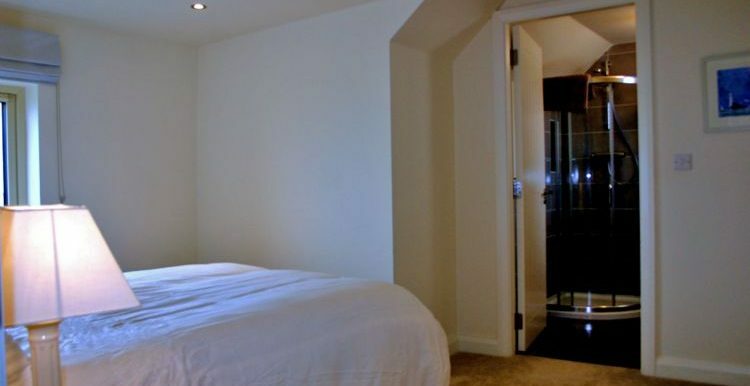 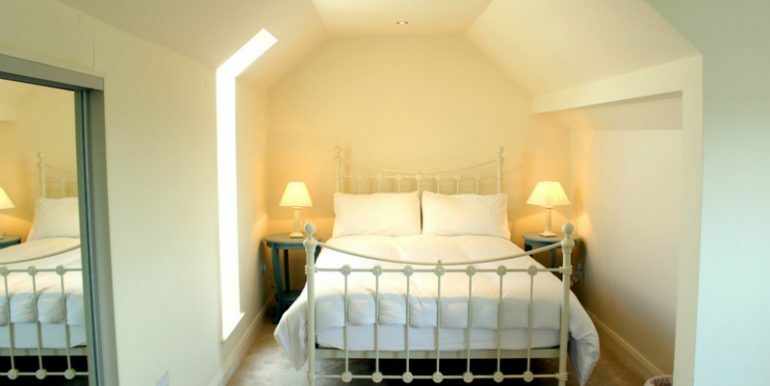 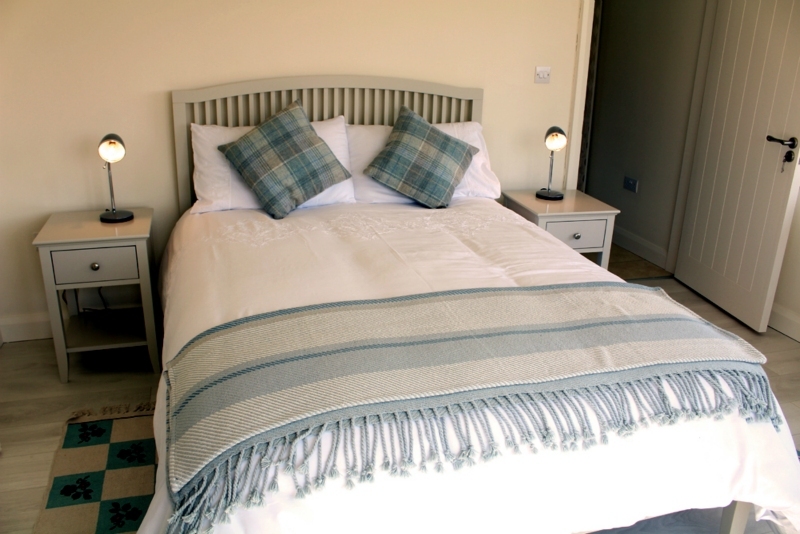 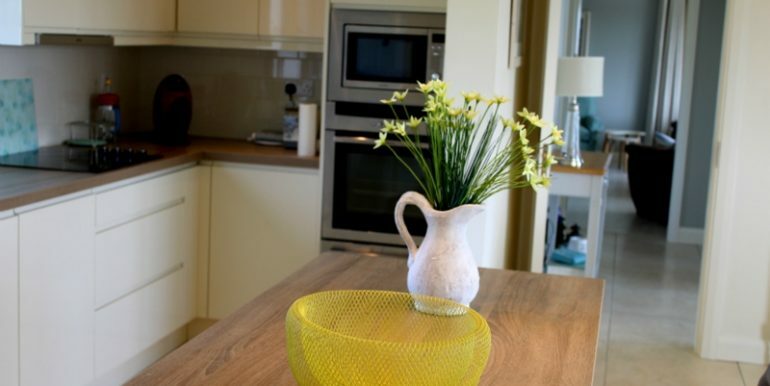 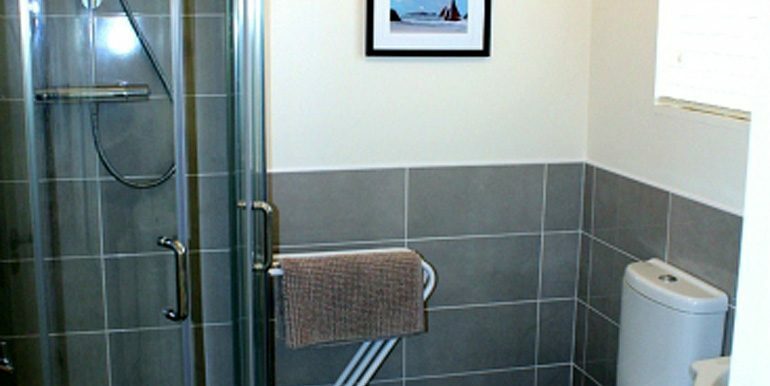 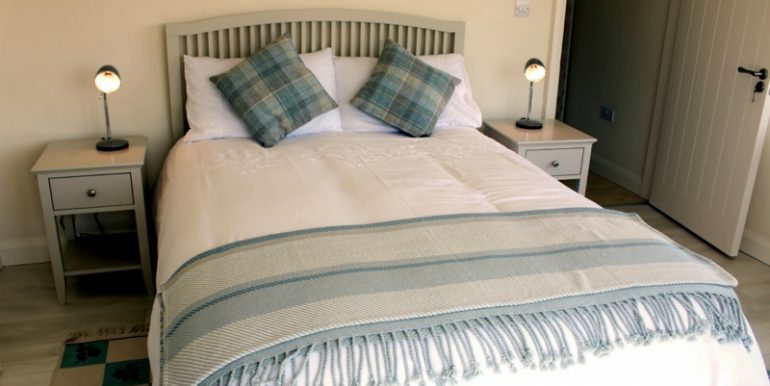 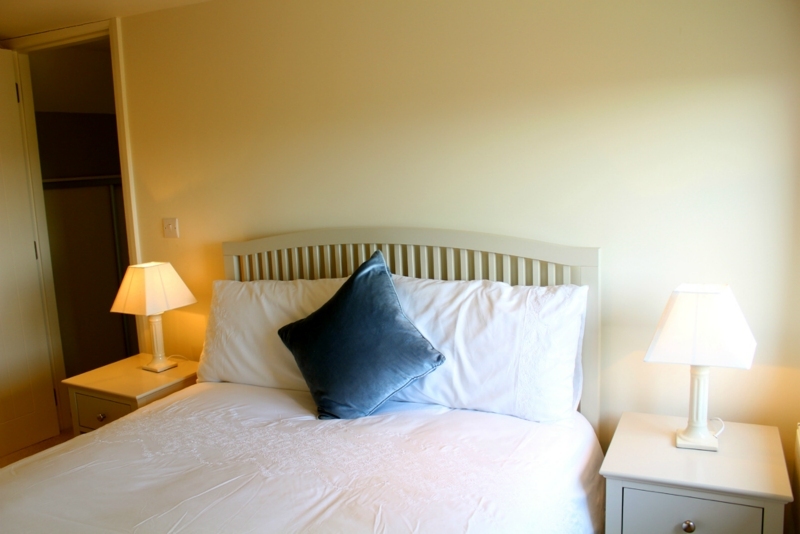 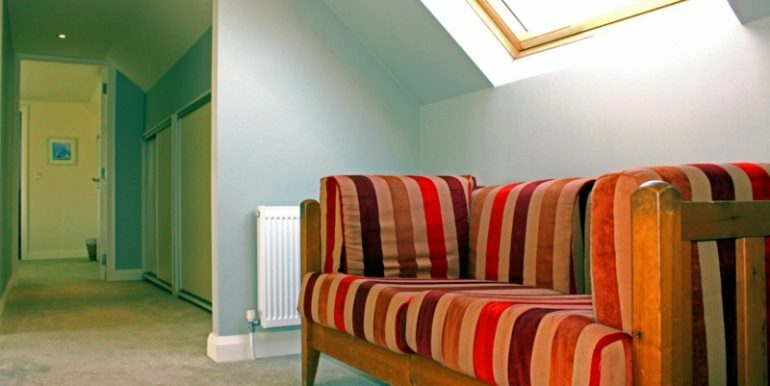 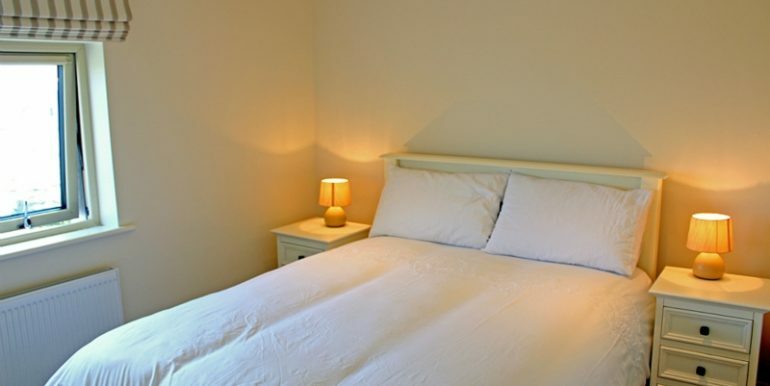 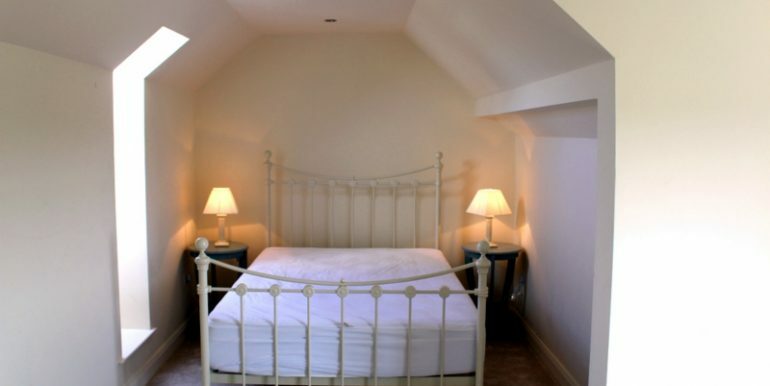 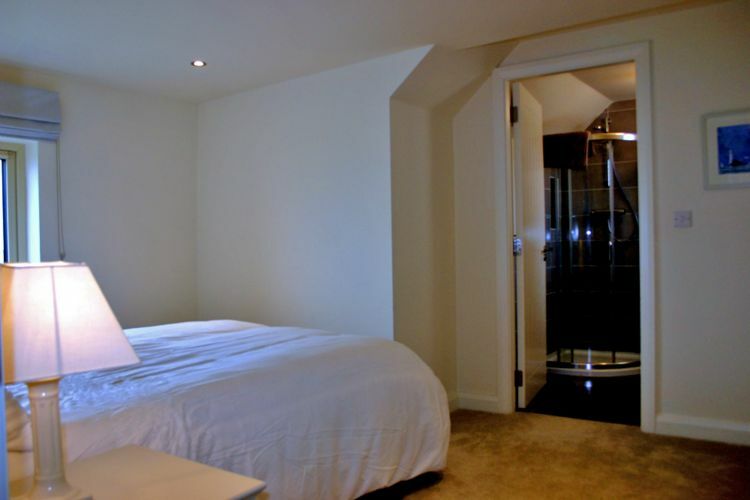 All bedrooms have sliding wardrobes with mirrors and house is furnished to a high standard. 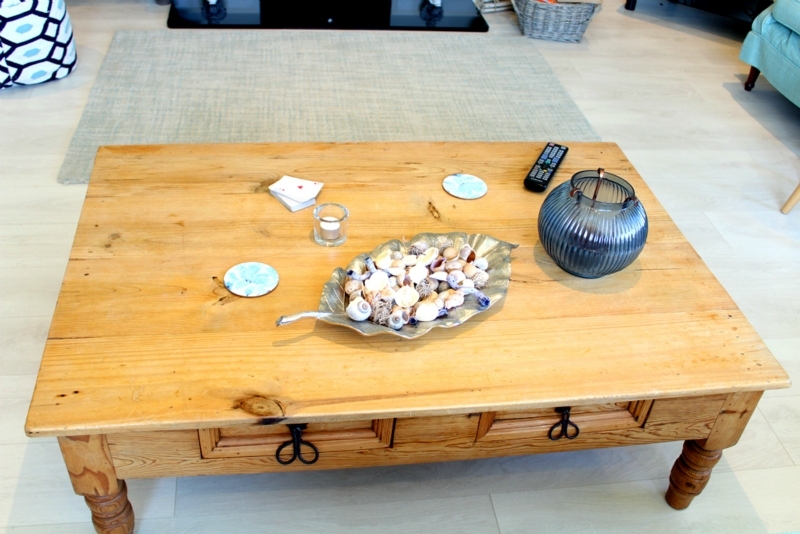 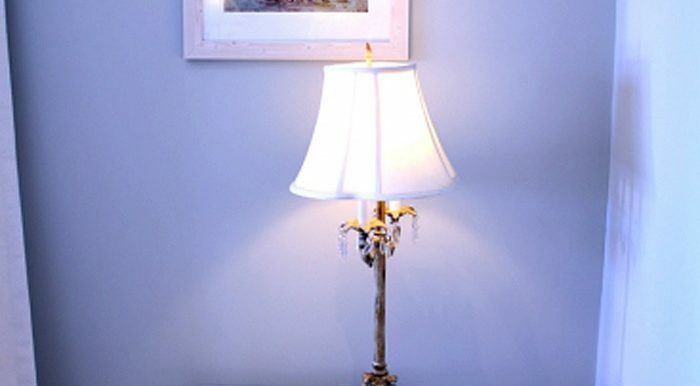 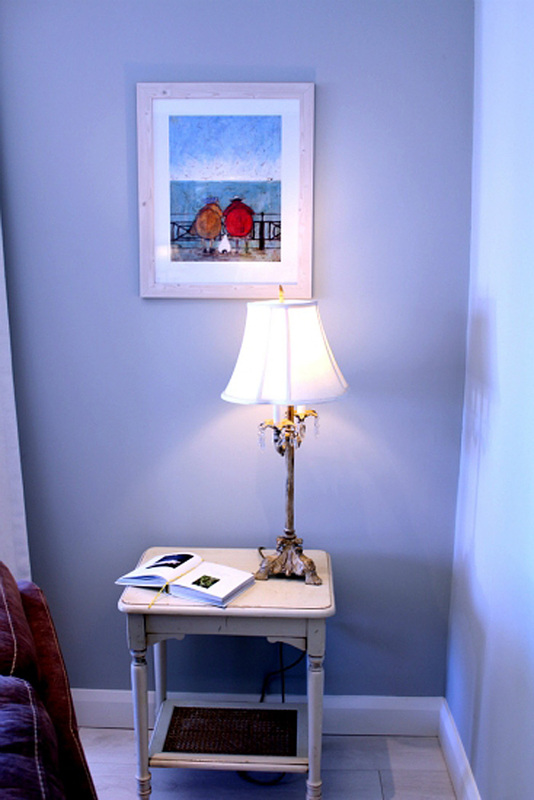 Lovely crisp colours and like a lighthouse theme throughout the house.